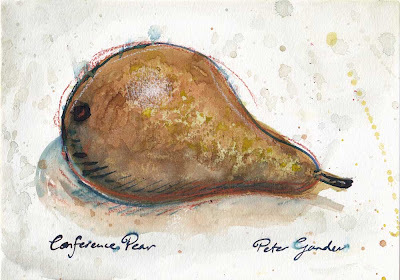 Before I ate this Conference pear I was taken by its textured skin and so took to painting it first! My piece of broken wax candle served to impart the texture via washes of watercolour over subsequent wax resist marks. Extra linear marks and white highlight were added with blue, sepia and white Conté sticks. Watercolour on The Langton 300gsm (rough) paper. 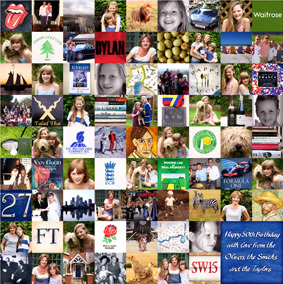 The top pic is one of my wife Fiona’s ‘Photo Mosaics’. A tessellated square of many squares, they are given as gift to loved ones to celebrate birthdays and suchlike and are comprised of the tiniest detail to the big things in life. They are part photo, part scanned original art. Fiona does the photographic squares and I paint mini originals for the remaining ‘favourite TV programmes, brand of jeans/custard’, etc. 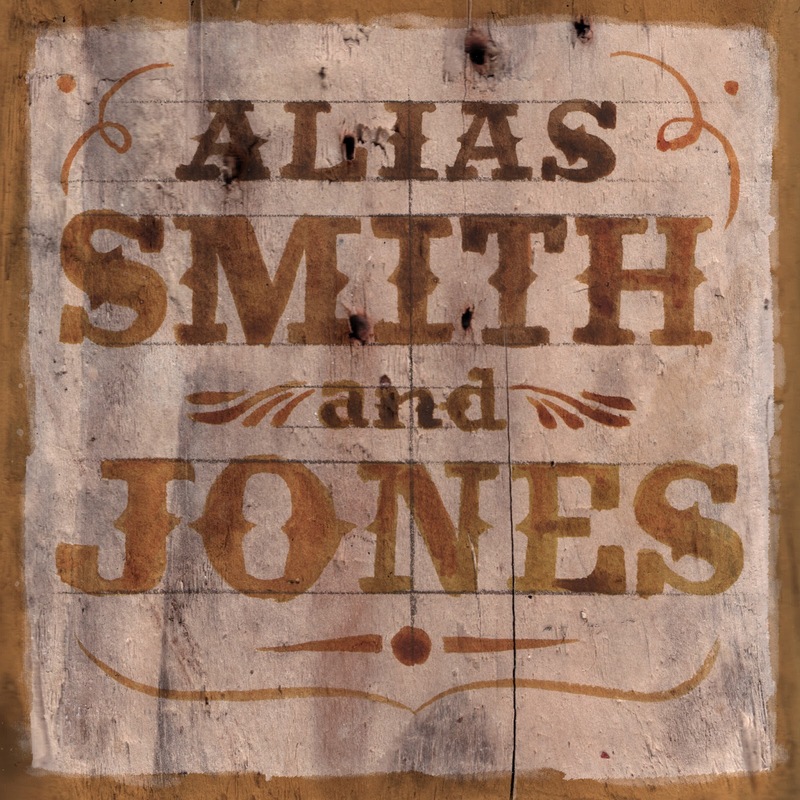 Some come along that are really nice to do, such as the ‘Alias Smith & Jones’ panel, above. 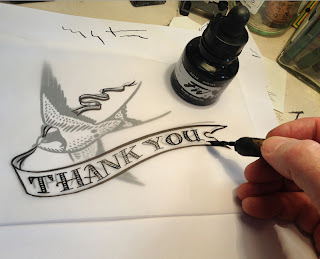 The original lettering was rendered in pencil and watercolour on paper as it the paint can have a lovely inconsistency when used in a ‘scrubbing’ fashion. This was later superimposed onto a scan of driftwood that I had, with transparency allowing the background through slightly. Today I adapted the artwork of our ‘Swallow’ card www.notonthehighstreet.com/haveagander/product/hand-printed-swallow-card to customise it for a ‘Thank You’ gift tag & card. 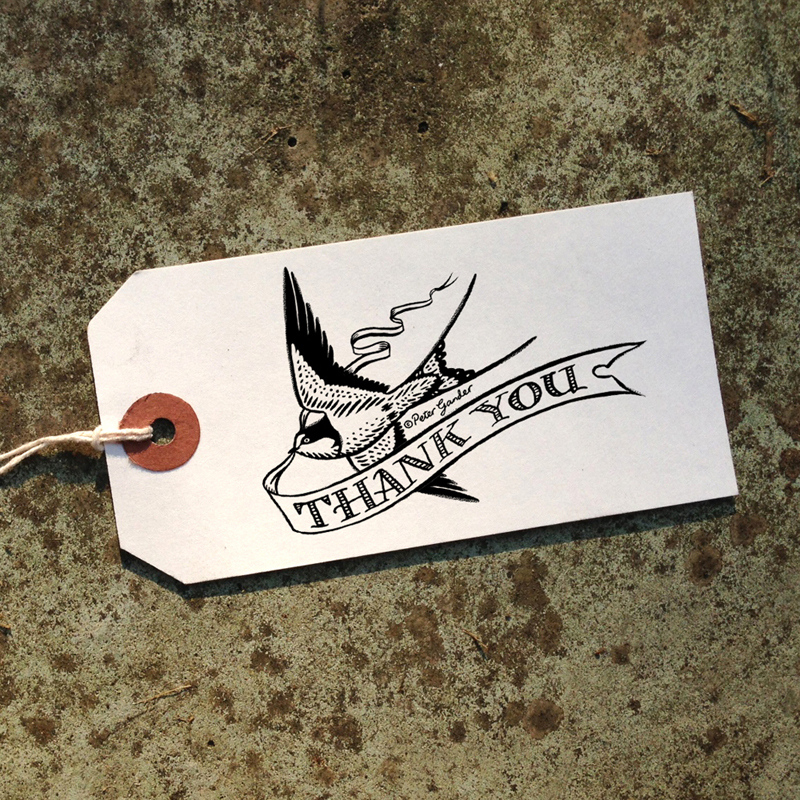 Original: The swallow image and new banner were hand-drawn in black ink with a brush and scratch (dip) pen.